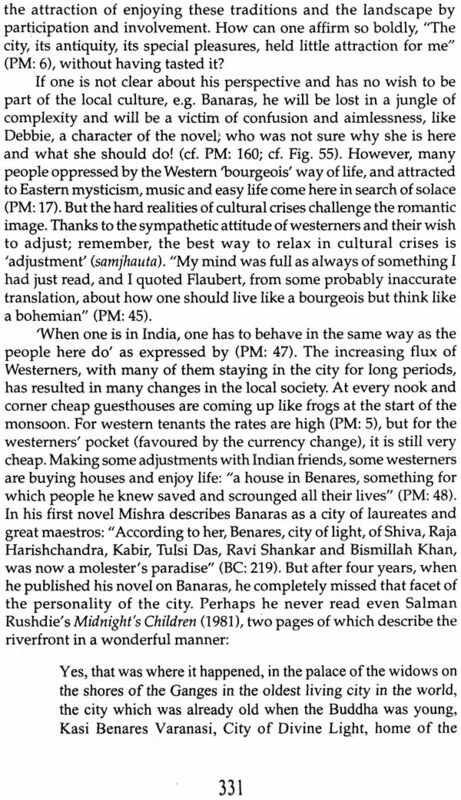 This book expounds in a colourful way the diverse literary images that Banaras, the city known as the Cultural Capital of India and the holiest city for Hindus, has inspired and continues to inspire in different writers in the course of history. Few other cities in the world have so sparked the imagination of the artists as this paradoxical and undescribable city which seems to integrate all contradictions. 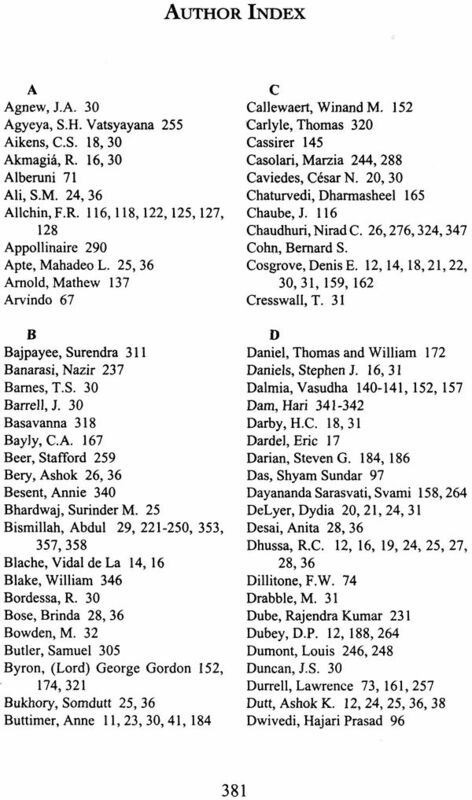 Kabir, Tulasi Das, Mirza Ghalib, Bhartendu Harishchandra, Rudra Kashikeya, Bishma Sahni, Raja Rao, Shivprasad Singh, Abdul Bismillah, Kashinath Singh and Pankhaj Mishra, all wrote about the Banaras of their time or of the past. Rana P.B. 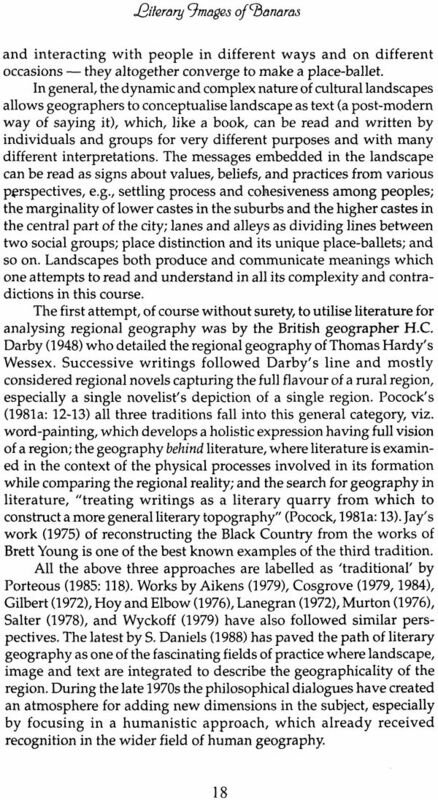 Singh analyses their literary images and the cultural traditions described therein, interpreting them in the purview of cultural symbols and lived traditions which have maintained their continuity since the ancient past. 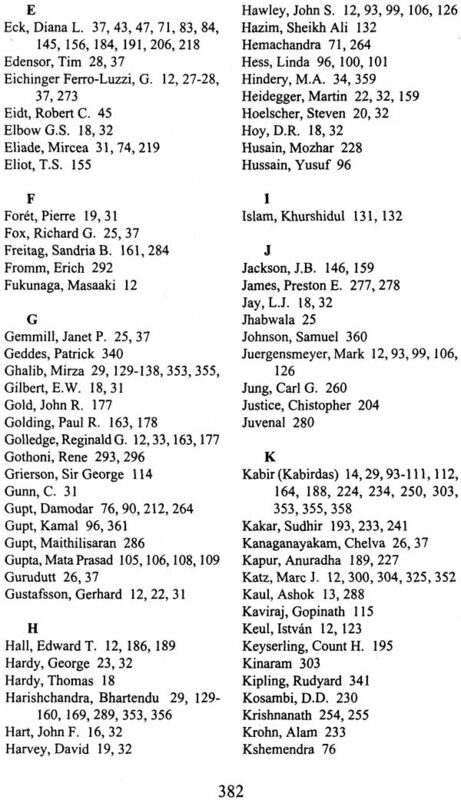 Each of the fifteen essays describes a time in the history of the city along with its culture, illustrated with Puranic sources. 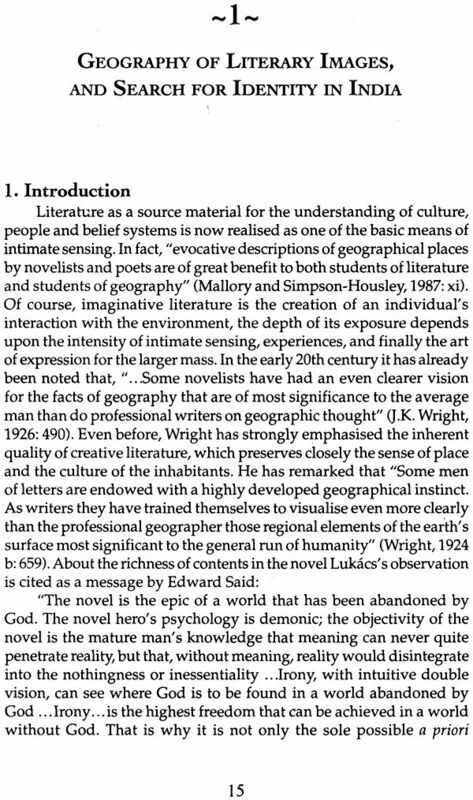 This work will certainly be helpful to understand the complexity and multiplicity of belief systems, and the historical perspectives of metaphor; symbolism and milieu. Rana P.B. Singh is Professor of Cultural Geography at the Banaras Hindu University, Varanasi, India, and Founding President of the Society of Heritage Planning and Environmental Health, as also of the Society of Pilgrimage Studies. 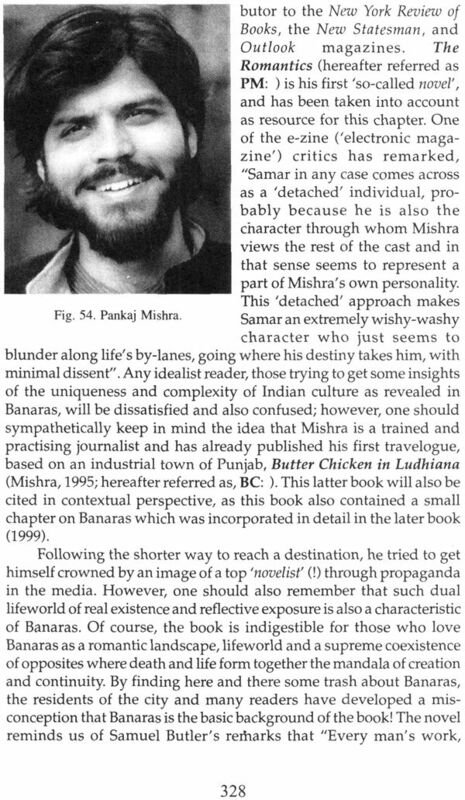 He has been studying the city of Banaras/Varanasi/Kashi for most of his life, and is today an undisputed authority on the culture, geography and history of the city. 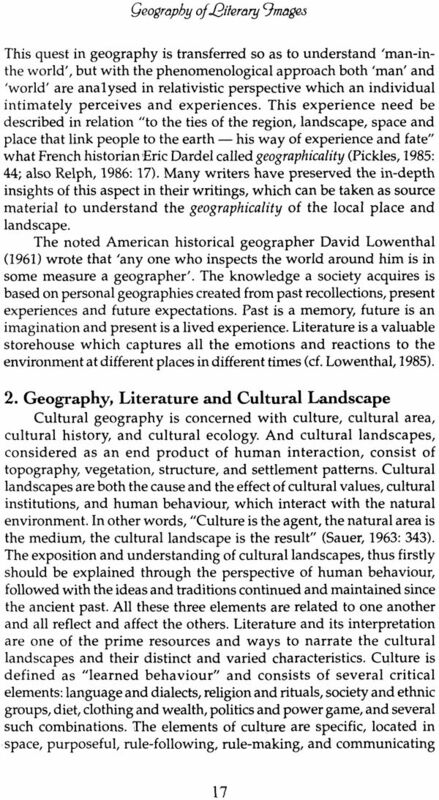 Introduction: Geography, literature and cultural landscape; Intimate sensing and humanistic focus; Literary geography: a search for identity in India; Literary images of Banaras: the present book; References; References on India. 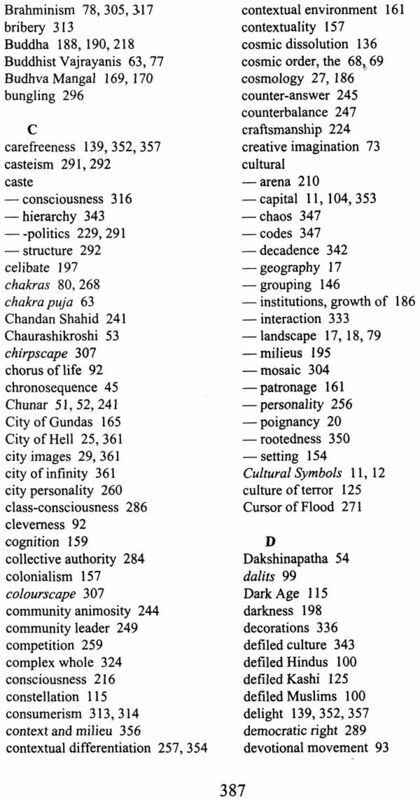 Introduction: Canvas and context; The Issue of Aryan expansion; Mythology and history of ancient Kashi: Vaishvanara, the Sun's supremacy; Territory of Kashi and physical landscape; The temples and sacred spots; The social world; Tantric culture; the temples and sacred spots; The social world: Tantric culture: the other side; The antipode: Kshatriya vs. Brahmin; The Universal Manhood: Vishvamanusha; The message; Conclusing remarks. 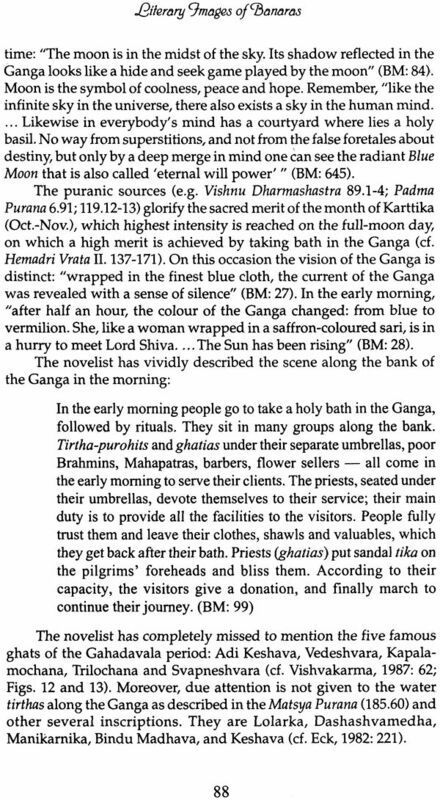 Introduction: historical outline; The canvas, and criticism; Metaphor and symbols; Anarchy and topophobia; Kashi: vividity of its personality: revelation and exposition, physical personality, temples and divinities; Kashi and vicinity; Face of the Ganga river; Other streams; An epilogue: Blue Moon hides in clouds. 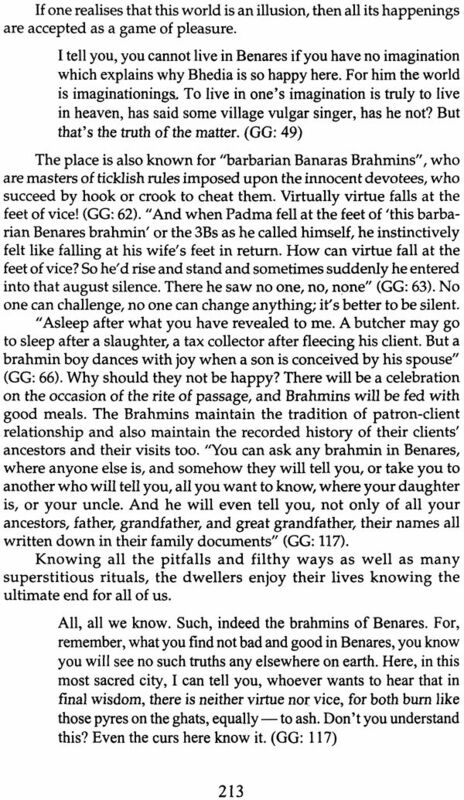 Introduction; Historical context and thought; Social strata; Defiled Hindus and Muslims; The mahant; Religion, status and powr; Kashi, centre of pilgrimage; Struggle for understanding; Kabir's revelation; Concluding remarks. 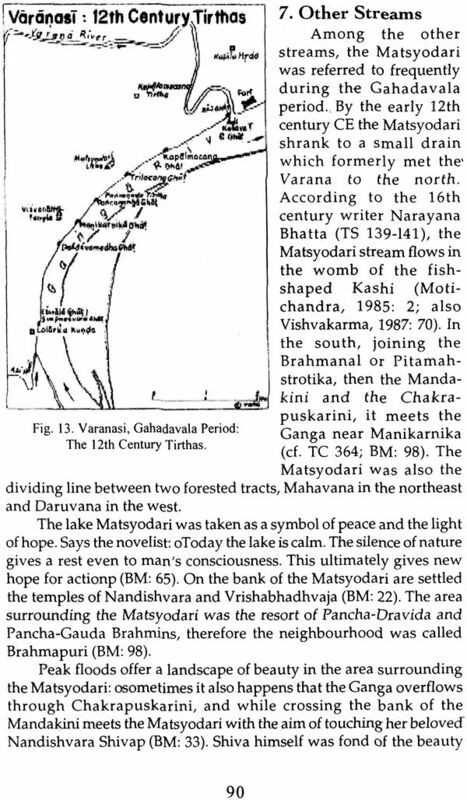 Introduction; Historical context; The territory of Kashi; The glory of Kashi; Defiled Kashi; Concluding remarks. Introduction; The feelings, translation of The Lamp of the Temple; Remarks. 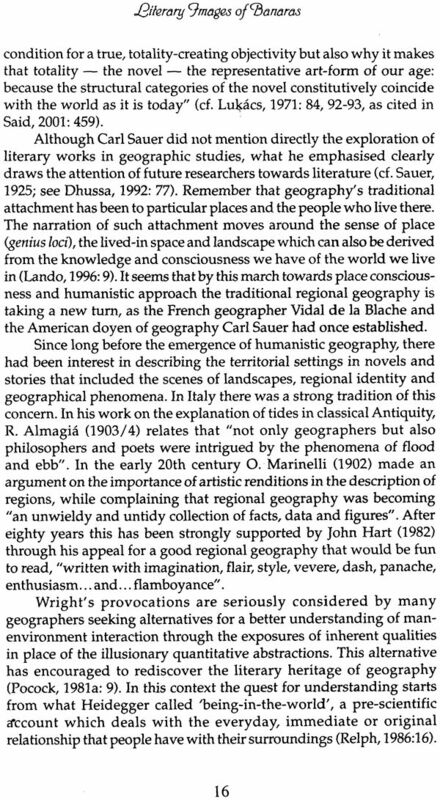 Introduction; Bhartendu Harishchandra: an introduction; Topophilia; Topophobia; Reaction on colonialism; contextuallity; An epilogue. 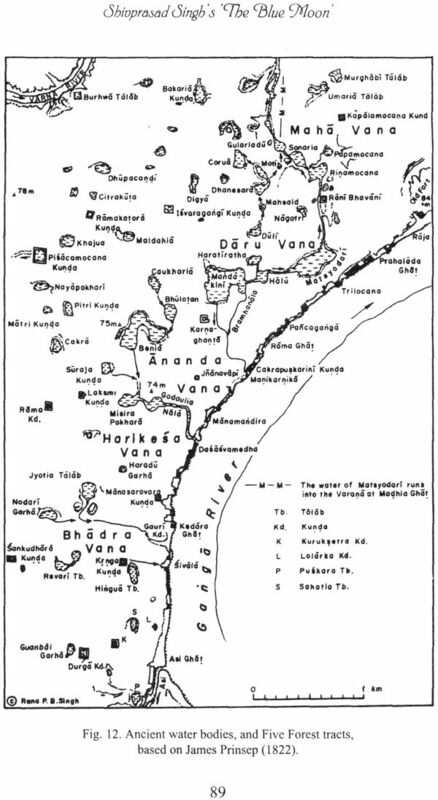 Introduction; Rudra's novel, an introduction; The unique city; The city of gundas; Seasonal folk songs; Budhva Mangal: a unique celebration; Typical lived-world experiences; Red as symbol; revolution; An epilogue. 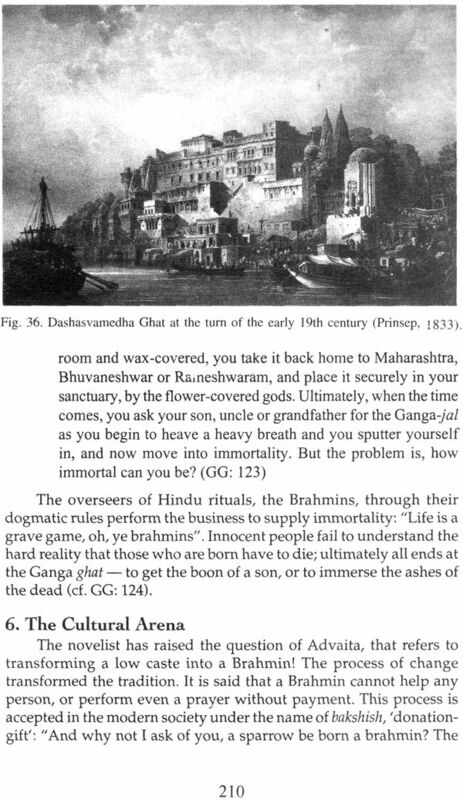 Background and exposition; The Ganga and eternity; Cosmology and uniqueness; Territory, place and people; The major deities; Death, manes and meaning; Banaras is Banaras; Epilogue and destination. 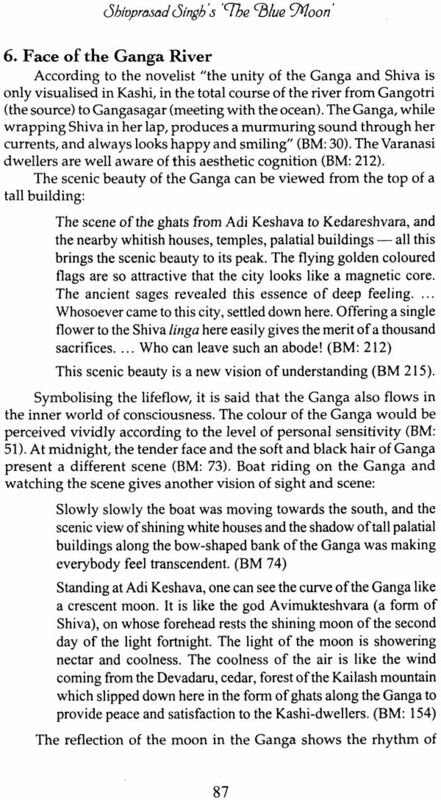 Introduction; The Ganga: aesthetics and motherly river; The distinct Banaras; Shiva's city; A holy dip in the Ganga; towards pilgrimage; The cultural arena; Message: flowing Ganga vs. lifeflow; An epilogue; Towards the end. 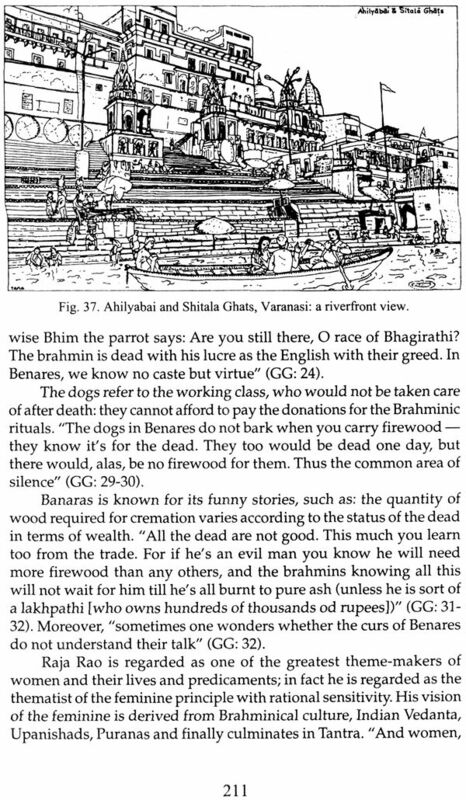 Introduction; Banaras, glimpses of the city; Julahas: folk history, identity, and poverty; The Banaras weavers; their lifeworld; Marriage, divorce, and education; Julahas' belief system; Hindu Muslim conflict; Exploitation world; Realisation and raising voices: An Epilogue. 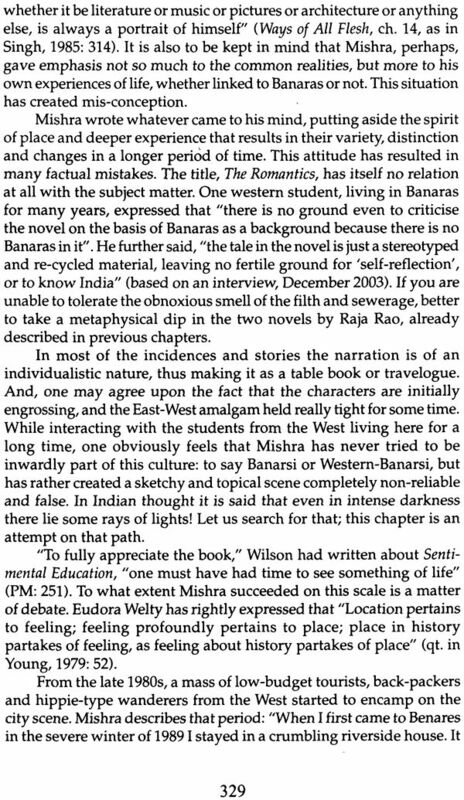 Introduction; Novelist's urban experience and criticism of the book; The canvas; Physical aspects of city personality; Metaphor and milieu: the spots; The Ganga; Metaphor and meanings; The polytheistic character of Hindu society; Place speaks: awakened and dead; Immoral educational scene; concluding remarls. Introduction; The background; Education: the basic question; The language issue; The university; casteism as base; The Department; Teachers and students; Concluding remarks; the march ahead. 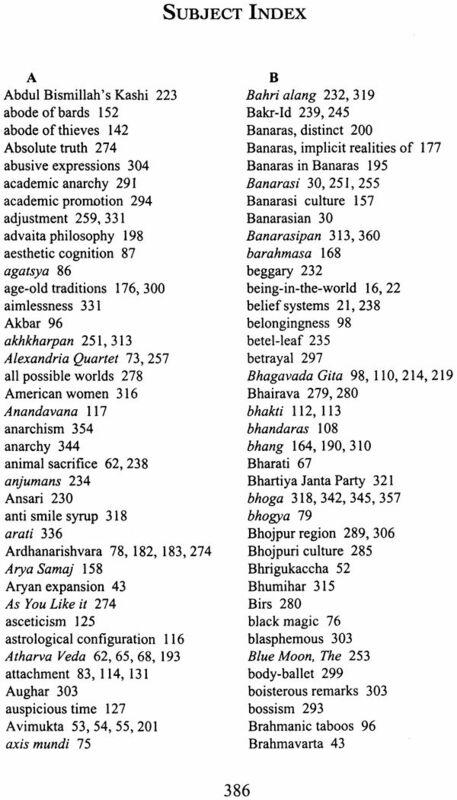 Introduction: reflections; Banaras and Assi; Ridiculous way & symbolic message; The place -ballet; Social dilemma; Unparalleled shows; Insider vs. outsider perception; Concluding remarks: awakening and message. 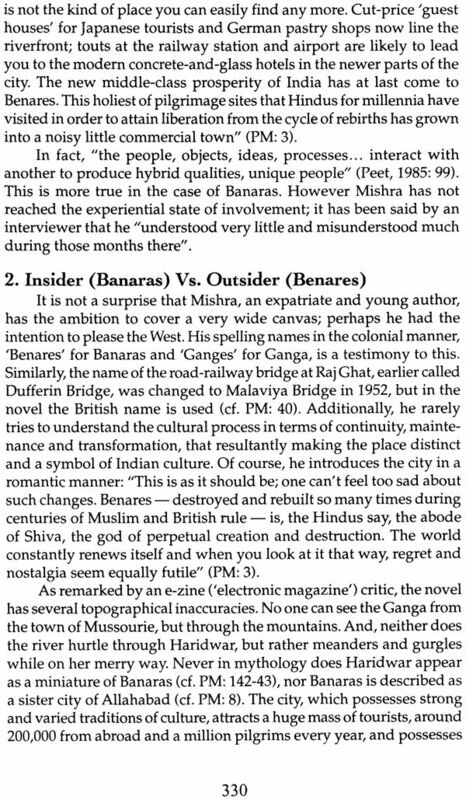 Introduction: Canvas and critique; Insider (Banaras) vs. outsider (Benaras); His own saga and scenes of Banaras; The Ganga, the city, and the pilgrims; the place-ballet; special scene; Society and defiling culture; An epilogue; no destination.